Witch Hazel's Magick: About Me. Welcome to my website. I hope you like what you find, and thank you so much for your interest. I am Witch Hazel. My "muggle" name is Susanne, but this was my childhood nickname long before I found the Craft and I grew to rather like it. I am a witch, online shop owner, radio presenter, blogger and writer; I am also an intuitive, empathic tarot reader who loves to put people back in control of their path. I think I have always been a witch, but it was a series of life-changing events in my mid-twenties that finally made me open my eyes and heart and embrace the Lord and Lady and the Craft, and I have been called upon by friends to offer spells for everything from business success to finding a new home and creating harmony within the family; some of these spells are available in my shop. 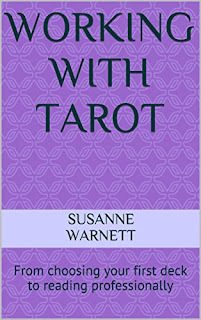 However it is my work with the tarot that has helped the most people. Through my intuition, expertise and over twenty years of experience, I'm here to help you live the life you’re secretly yearning for – while showing you that your future is already within your reach. Using a reading style that blends traditional tarot reading with elements of life coaching and the principles of the Law of Attraction, I use my cards to clearly see what is really going on and then, most importantly, help you to figure out what you can do with this information to move your life in the direction you want. I am a British witch who comes from a long line of natural psychics through my mother, and displayed sensitivity from an early age. As a child I would help friends understand their dreams and how they could unlock the subconscious meanings hidden within to empower their lives, a service I still provide today. Studying for my degree in psychology at university not only made me more familiar with the work on dreams by Sigmund Freud and Carl Jung, but also enabled me to train as a councillor, a skill that is essential to any professional in the metaphysical field. It was while at university that I finally picked up my first tarot deck and discovered my life’s passion. Initially I read purely for myself as a developmental tool, but I soon found friends and family turning to me for insight and in turn recommending me to their friends. As I honed my skills I read for anyone that would let me, even taking a tarot deck to the pub and reading for the curious drinkers who would approach me; the more cynical the better as I blew them away with my accuracy! For many years I offered my services on a part time basis as I fitted readings in around my career in the hospitality industry and my family life, but then in 2012 the universe gave me the opportunity to bring my skills to the fore when my husband’s work brought us both to the United States. Putting my career in the UK on hold meant I could dedicate the time needed to finally take the leap and follow my dream of offering my tarot skills full time. 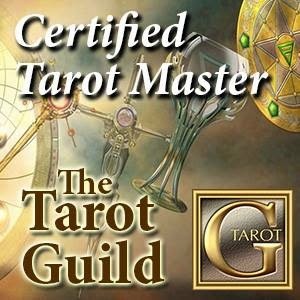 Research led me to the Tarot Guild and to sign on as one of their experts offering high quality webcam readings, and I soon built a reputation for warmth and honesty as well as accuracy. Over the past two decades, I have helped hundreds of clients understand their true situation and have confidence in their life decisions, both face-to-face and virtually via email, Skype or live readings on Oranum. My insights and advice have been featured on LifeScape Radio where I co-host the show “Psychically Speaking” and I also contributed regular articles about my spirituality to Soul Path Magazine. In 2014 I qualified as a Law of Attraction practitioner, and I'm able to use this skill to enhance my readings and bring your life on course. Also in 2014 I launched my shop Witch Hazel's Magick selling, among other things, jewellery and spell kits; check out my current range by clicking the link at the top of the page.